7.54 points at 24 votes (rank 190). 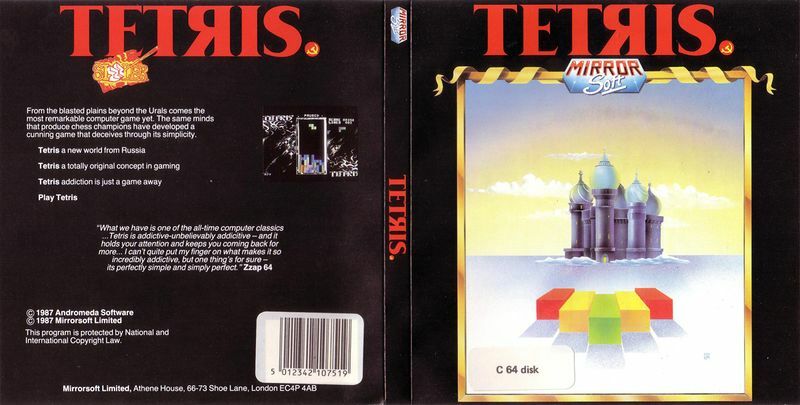 The aim of Tetris is to get as many points as possible by placing stones dropping from above on the game area in a way that - if possible - complete horizontal rows are created. As soon as one or more rows have been completed by a stone, they disappear and the stones above them drop down. The game area is 10 blocks wide. The stones themselves always consist of blocks, that can be arranged in 7 different formations. The player can move the stones sideways while they fall and rotate them in 90° steps. If a stone was already aligned as desired, it can already be lowered down to get more points. Dependent on the number of points the difficulty grad rises, i.e. the speed of the falling blocks gets faster. The game ends when there is no space left in the upper two rows for a new stone. Simple but functional graphics, the displays are to the right of the game area and are limited to the score, the number of completed rows and the preview for the next stone. The stones jitter a bit when falling, but in return is the calm but diversified ingame music by Wally Beben with a length of 26 minutes probably one of the longest SID composition at all. 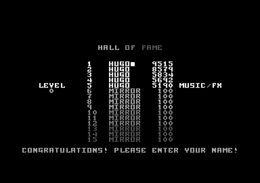 The highscore list is saved on disk in the version by "Remember". If the fire button is pressed once in the title screen, the highscore list is shown first. Here you can choose between music and sound effects with the joystick and set the start level (0-9) by . Another press on the fire button starts the game. 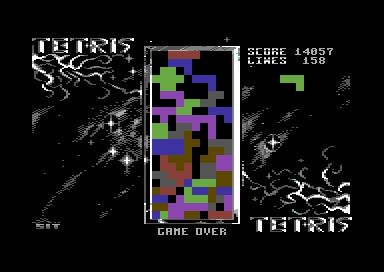 In contrast to other Tetris conversion there is no difference here whether you complete one or several rows with one block, the points are always the same. Putting down the block prematurely gets you more points depending on the distance. The higher the falling speed (level) the more points you get. The game has no ending. You need to reach as many points as possible. Do not forget about the preview for the next block, it is very helpful. 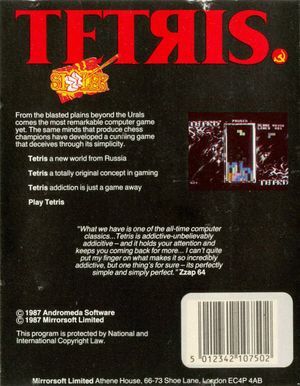 Helmutx: "A TETRIS on the C64. I always liked to play it due to the catchy music. Unfortunately, some features are missing here, e.g. you cannot correct a block that has already been put down. Also the fact that you get even less points when removing several rows at once is very poor. But nevertheless it is all in all a classic which I like playing in between, therefore 8 points." TheRyk: "Let's be fair, in 1988 the 8 bit market was already facing a decline. Many titles were first and foremost made for 16 bit machines. Only as by-products, some games were ported for C64 and other 8 bit systems. 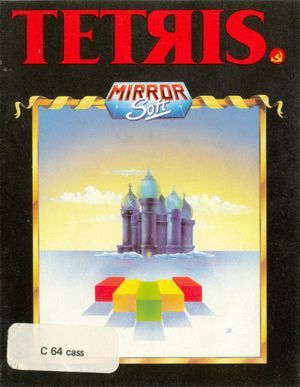 Considering these facts, Tetris on C64 is really a pretty good game, though the graphics could have easily been improved by just some more polish. The ingame music is one of the last great hits by Wally Beben on C64, and quite more enjoyable than the well-known enervating Gameboy theme. 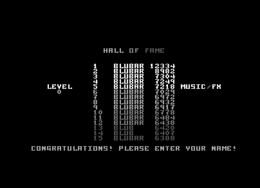 Moreover, it is the longest C64 ingame tune I know, which is reason enough for me to load it time and again. Very good, all in all, 7 points!" This page was last modified on 5 August 2017, at 21:29.